In 2008 the fine wine market was affected by a single piece of legislation in Hong Kong to such an extent that the small island off the coast of China is now, after only four years, Bordeaux’s number one export market. The duty on fine wine was reduced from 40 to 0 per cent and Hong Kong instantly got the bug for fine wine consumption and investment. In 2010 the Liv-ex 100 rose by 40 per cent, compared to the FTSE’s 9 per cent increase. Most analysts put this huge increase largely down to this reduction in duty-related customs in China. Arguably the most famous wine in the world – Lafite Rothschild – saw a rise in value of the majority of its vintages by 70-100 per cent in 2010, as Chinese palates fell in love with the fantastic Bordeaux First Growth. Since then the Chinese market has rapidly diversified, as investors come to realise there is more to France than just a tiny section of the Bordeaux region. The First Growths remain the ultimate investment opportunity, but many other French regions and chateaux are now highly desirable. Wines from Burgundy, Côtes du Rhone and Champagne are now all sought-after in Asia. 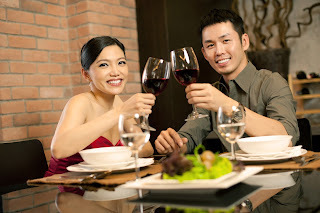 As a gateway to mainland China, Hong Kong not only has a huge geographical advantage, but it has also entered into an agreement with China to allow wine to be transported to the mainland under enhanced customs regulations, known as the Mainland and Hong Kong Closer Economic Partnership Arrangement (CEPA). As the market grows and diversifies, investors are starting to look to the ‘lesser’ known wines. Chinese portfolios have become more advanced as more people have more access to knowledge on the market. The Premier Cru wines – Lafite, Latour, Margaux, Haut-Brion and Mouton – only produce around 180,000 bottles a year. Bearing this tiny supply in mind, a nation of well over one billion people will dramatically push up the demand for the top wines. With such a large potential market, wine companies and distributors have flocked to Asia to take advantage of the rapid increase in consumption and investment. Asian buyers now account for 60 per cent of Sotheby’s global wine sales. One example of this extraordinary boom in fine wine sales was the Lafite 2009, which sold for £43,000 a case in Hong Kong, three times the London price. Wine auctions in Hong Kong regularly break records, with cases of top wines going for £30,000+. Business relationships between Europe and Asia are being formed all the time. In November 2012 the first chateau with Grand Cru Classé status – Bellefont-Belcier – was bought by a Chinese businessman. This is a clear indication that the Chinese influence over the fine wine market will only increase in the coming years. Robert Parker’s infamous journal, the Wine Advocate, is opening up a large office in Singapore. Parker is due to step down as editor soon, and will be replaced by his Singapore-based Asia correspondent, Lisa Perrotti-Brown. This is yet another signifier of the change in focus in the global wine market towards the East. Emerging nations with growing middle classes with Western ideals will flock to fine wine, seen as one of most prized status symbols.